The party of Colombia’s President-elect Ivan Duque wants to severely reduce victims rights in an attempt to undo much of the country’s peace process. The changes in the 2016 peace deal would reduce the rights to political representation of 8.5 million victims and remove the leadership of the FARC, the group that demobilized 14,000 people last year, from Congress. President Guillermo Valencia, the grandfather of Senator Paloma Valencia, ordered the first military attack on the FARC’s founders in 1964. Far-right Senator Paloma Valencia (CD) proposed to permanently remove the right of victims to elect 16 representatives for two congressional terms. 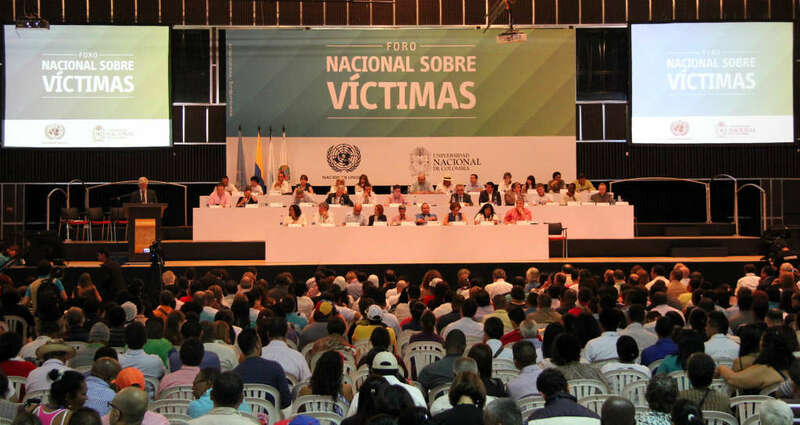 Duque and the CD have only recognized the existence of FARC victims, ignoring the vast majority of the 8.5 million victims who were victimized by the state or other groups, leaving their future highly uncertain. According to the conservative opponents of the peace process, giving political representation to victims in general would be like giving power to the FARC. Like the guerrillas, many of Colombia’s conflict victims are peasants and are seen by some as second-class citizens. 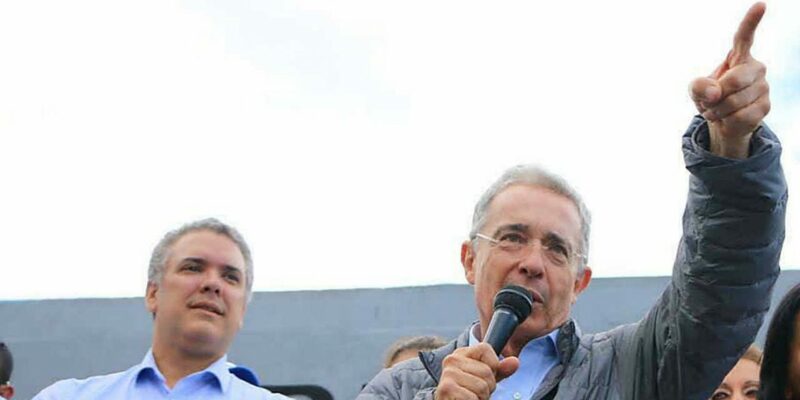 Valencia, Duque and their political patron, former President Alvaro Uribe, belong to regional dynasties that for generations have been involved in government as if it were a family business, at times using brutal force to enforce their authority. The peace process sought to effectively reduce this elite control and promote democracy by giving political participation to victims, social leaders and the demobilized guerrillas. According to the peace deal, the FARC’s leaders will enter Congress on July 20 with five seats in the senate and another five in the House of Representatives. These seats are guaranteed for eight years. Meanwhile, the leaders would take part in a restorative justice system that was approved by victims representatives after lengthy negotiations. This would effectively remove the entire leadership of the former guerrilla organization from Congress and undo their transition to politics that essentially began in mid 2016. The “uribistas” want to allow the FARC to replace leaders who are ousted from Congress. 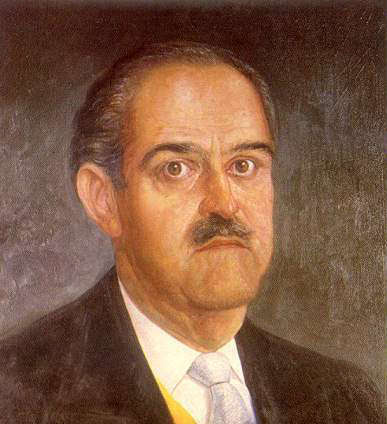 The most senior political leaders, however, were guerrilla commanders during the conflict. 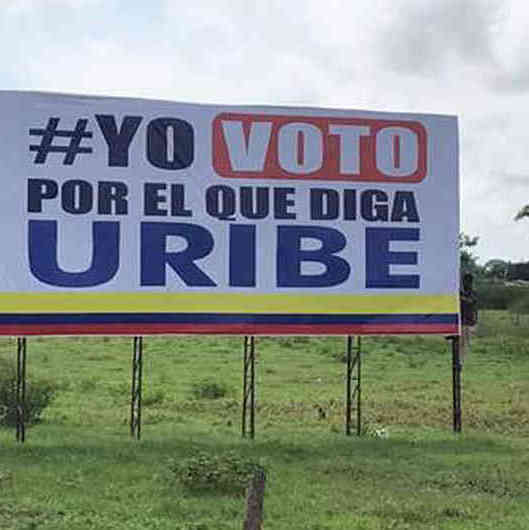 During the recent elections, many Colombians elected “whoever says Uribe,” the former president and former Medellin Cartel associate who is investigated for his role in multiple massacres. The CD) already successfully requested special treatment for suspects of military war crimes against civilian victims. This would freeze all court cases against state officials for 18 months. It is unclear whether this would be legal. Most of the conflict’s worst crimes were committed by the military and its far-right paramilitary allies, often when those who now call themselves “uribistas” were responsible for governing the country. Files over the execution of at least 4,500 civilians when Uribe was president are on the desk of International Criminal Court prosecutor Fatou Bensouda. Decades of almost absolute impunity has left most crimes unpunished and victims ignored. The uribistas have a lot to lose, in some cases even their liberty. It appears Duque and his political allies are trying to regain strict control over the state system and the peace process; they have already blocked important rural and political reforms that would democratize the country in Congress. This time, though, they are being monitored. The United Nations, which oversees the process, clashed with the CD earlier this week over the party’s attempts to impede justice. Recent elections have increasingly shown that particularly young Colombians are not loyal to any party in the conflict and want nothing to do with the oligarchs. This international community, which is well aware of the crimes committed by the state, has also been lobbying hard to remind the elite families that they may be above Colombian law, but must now obey to international law.